What do Powermax Treadmill model numbers actually mean? 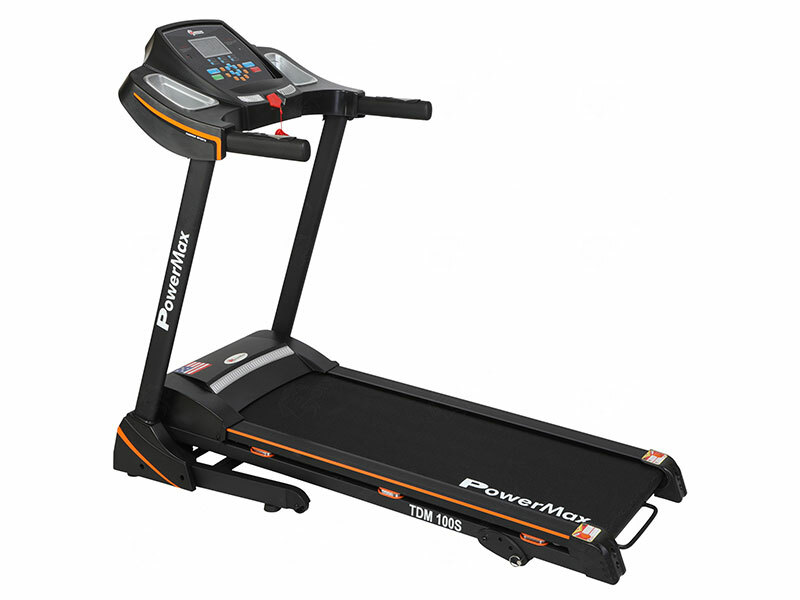 Powermax Treadmill model numbers use codes to describe the Key Treadmill features. 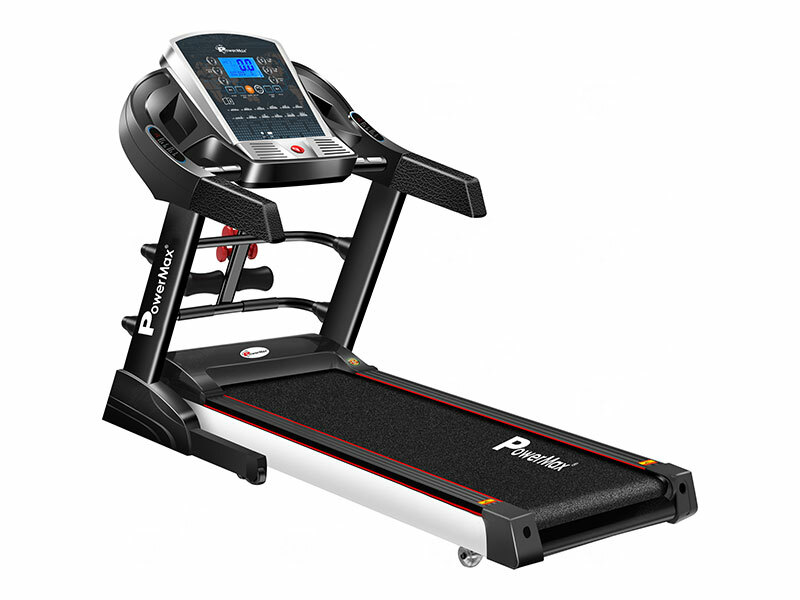 Once familiar with the codes you can learn a lot about a particular Treadmill just from glancing at its model code.Powermax Treadmill model number has a name that consisted of three letters and a 3 or 4 digit number to it. This makes identifying Treadmills rather easily, as both the letters and the numbers actually stood for something. For example, the numbers always translated into the User weight, and Motor size. Second digit 30 - stands for the motor size of 3 HP Continuous motor. Treadmills (often referred to as running machines) are pieces of cardio equipment used for running, jogging or walking whilst remaining in one place. 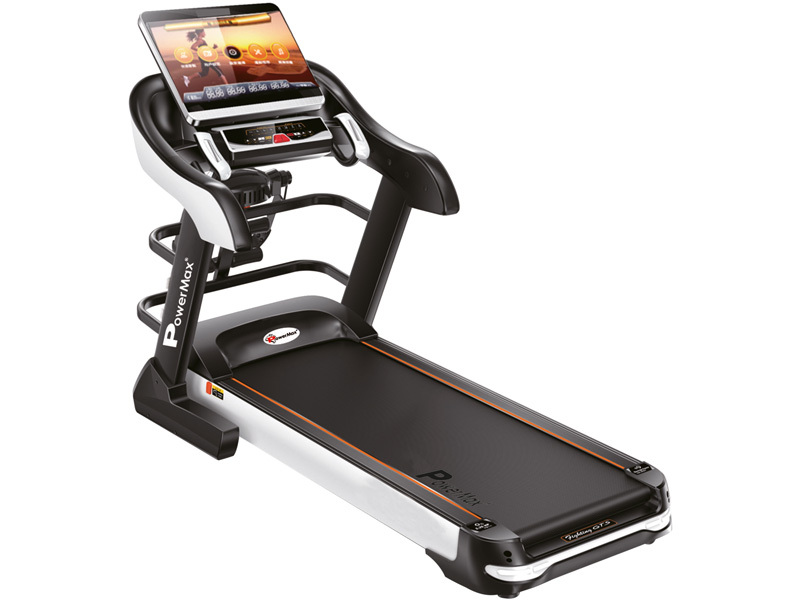 A treadmill provides a moving platform by means of a running deck and belt. The belt is powered by an electric motor and moves from the front to the rear, allowing the person to walk opposite to the direction of the belt. Manufacturers are continually reducing their manufacturing costs. This means you can now purchase a reliable home use treadmill for under INR 85000 and a cheap budget one for under INR45000! In India, we have unpredictable weather patterns throughout the year and as winter approaches there are fewer hours of daylight. Because of this walking, jogging and running outside can prove to be difficult. However, with treadmills, you can walk, jog or run in the safety and comfort of your own home, rain or shine, day or night! Less impact on joints - Running on a treadmill reduces the impact on your joints compared to running on pavements or road surfaces. To further reduce the impact purchase a machine with an orthopedic belt. Reduces stress - During cardio exercise endorphins are released into your bloodstream. This release of endorphins produces a natural high, which in turn relieves stress. Increases energy levels - Exercise of any kind will increase your energy levels and be running is one of the best forms of exercise to help increase your overall energy. Increases lung capacity - Long distance running will help improve your lung capacity, making you stronger and healthier. Increase bone density - The impact of running on a treadmill overloads the selected structure and causes the body to increase the density of weight-bearing bones in an effort to accommodate the stress of the activity. Increased calorie burn - Because running is a weight-bearing exercise it burns more calories in comparison to rowing machines or exercise bikes. 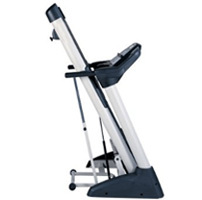 Folding Treadmills - If you are short on space a folding treadmill is an answer. Make sure if folds easy, it's stable and has a high maximum user weight. 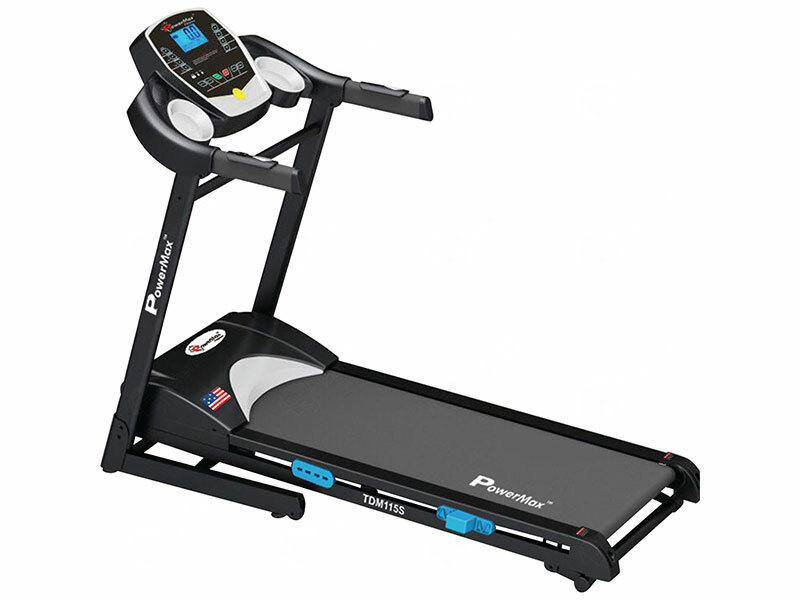 Non-Folding Treadmills - If you have the space a non-folding treadmill is ideal. 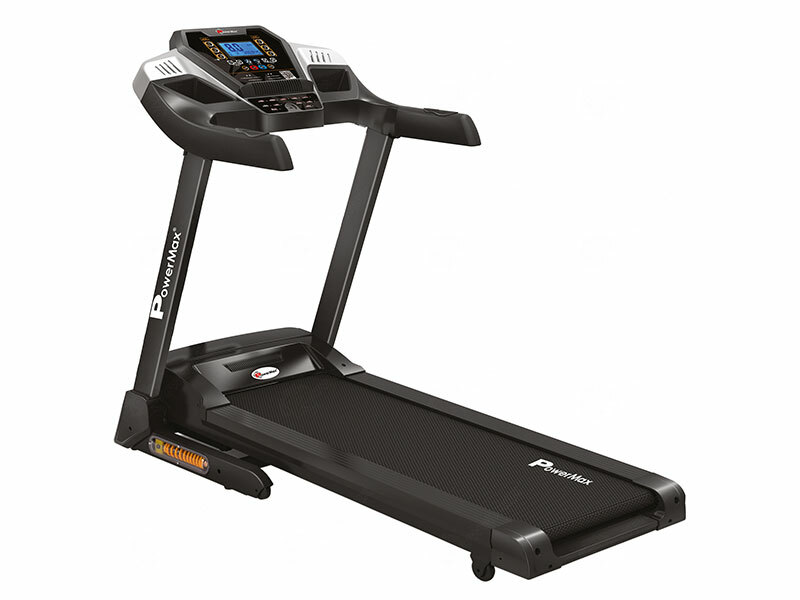 Non-folding treadmills tend to be slightly more stable compared to folding models. 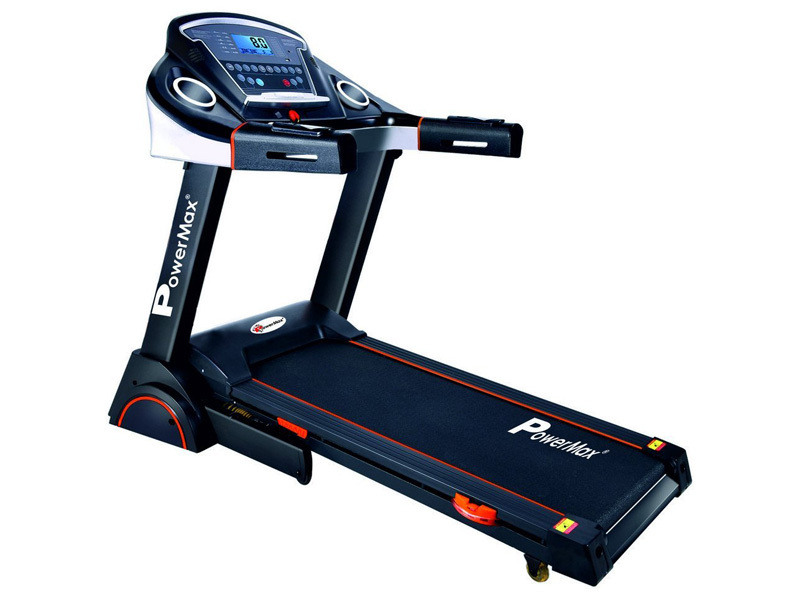 Commercial Treadmills - Commercial treadmills are suited for a commercial environment such as a health club or gym, they are designed for heavy usage throughout their lifetime, which is why you will find such good warranties on commercial treadmills. If you decide to buy and use a treadmill, it could be one of the wisest health decisions you could make. 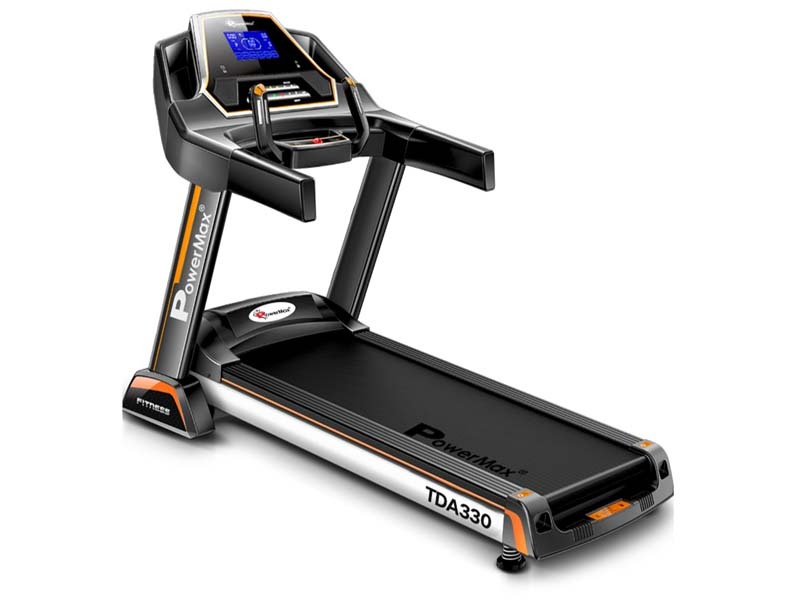 Treadmills, particularly motorized treadmills are easy to use fitness machines, they will improve your cardiovascular system and they provide the ideal way to burn calories and help with weight management. If you are a runner then its all well and good taking a run during the warm summer evenings but what happens when the winter snow, rain and dark evenings arrive? Well, that's easy, you pull down your foldable treadmill from the cupboard under the stairs, plug it in and start jogging and the whole family can use it as well. There are more treadmills on the market than any other kind of fitness equipment leaving you the consumer with a mind-boggling choice. This is a mixed blessing. 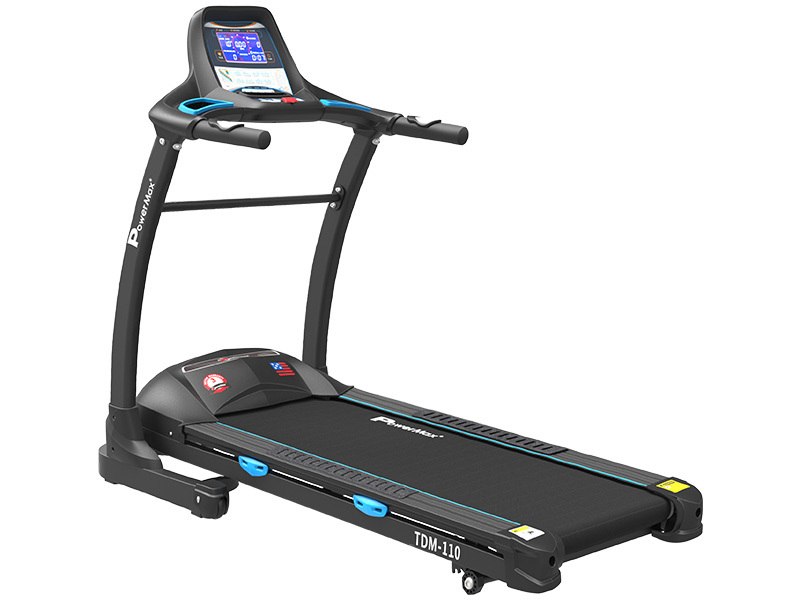 There is now a good range of quality treadmills to choose from but there are many more treadmills out there that you should think very carefully about before spending your hard earned cash. 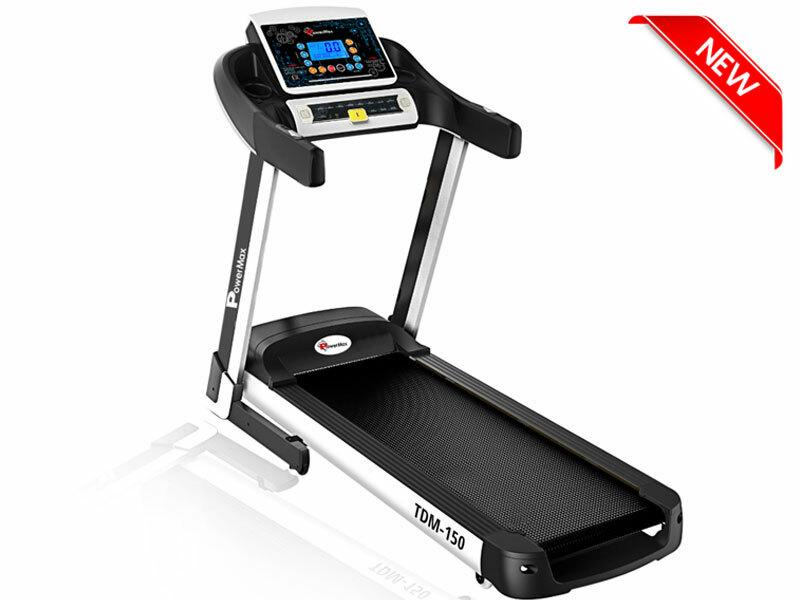 A good motor fitted to a quality treadmill will have a trade price of INR42000 plus. Yet there are cheap treadmills on the market selling for this price. To be fair even the cheapest treadmills will offer something to those on a tight budget but be warned, they may come with problems. Some of these machines have been designed to last not much more than 6months because they think that people will not be using them for much longer than that. It sounds unbelievable but true. A lot of these fitness machines are sold on the web. They are bought over by the container from the Far East. The website sells them off offering all kinds of guarantees that a few months down the line the website disappears leaving you the consumer with no redress. So if you see a very low priced treadmill its a case of buyer beware. Consider who will be using the treadmill and what their specific goals are. It is often the case that there will be more than one person in the family who will be using the treadmill. Discussing each person’s goals will help make sure that you purchase workout equipment that will withstand the use of multiple family members and provide the adjustments to accommodate different size users. 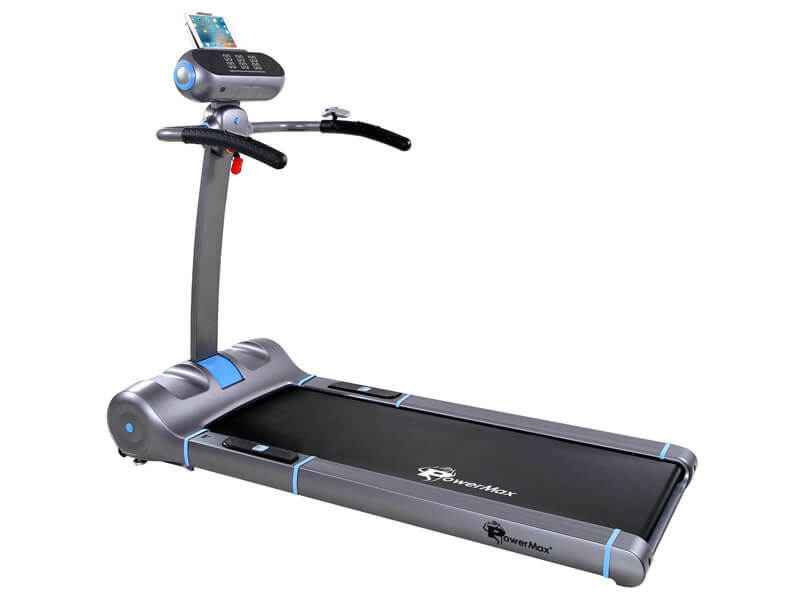 For example, going for the cheapest option or buying a low quality underpowered motorized treadmill is a common mistake, but one that can cause considerable problems, particularly if it is being used by both a 57 and a 107 Kg person. Also, will the treadmill grow with you? In a very short time with regular use, you will find your fitness improving and as it does so you will need more from your treadmill. Will it be able to accommodate this? Go to a specialist fitness store and test the treadmill. 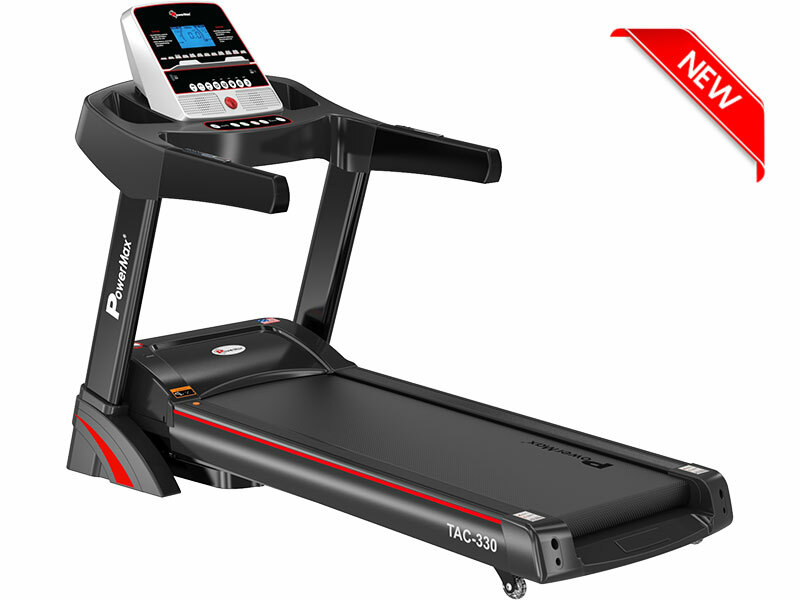 A specialist fitness equipment store should be able to offer a range of treadmills for you to try. They will also be able to show you how to use the treadmill properly and provide installation as well as show you how to do routine maintenance. Then test the exercise equipment yourself. Almost any treadmill will feel and seem adequate if you just walk on it for a couple of minutes. 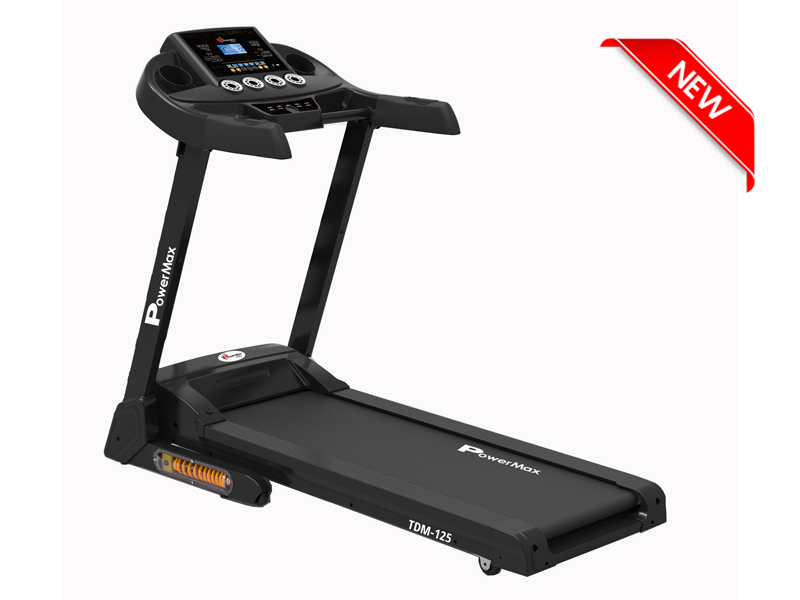 It's only when you begin to put the treadmill through its paces by jogging or running on it, adding elevation and using different programmes will you start to see and feel the major difference in quality and comfort, even vibration and noise. When you go to the store wear appropriate clothing so you can test the gym equipment properly. A good treadmill is a major investment. Take your time. Consider where you are going to site your treadmill. 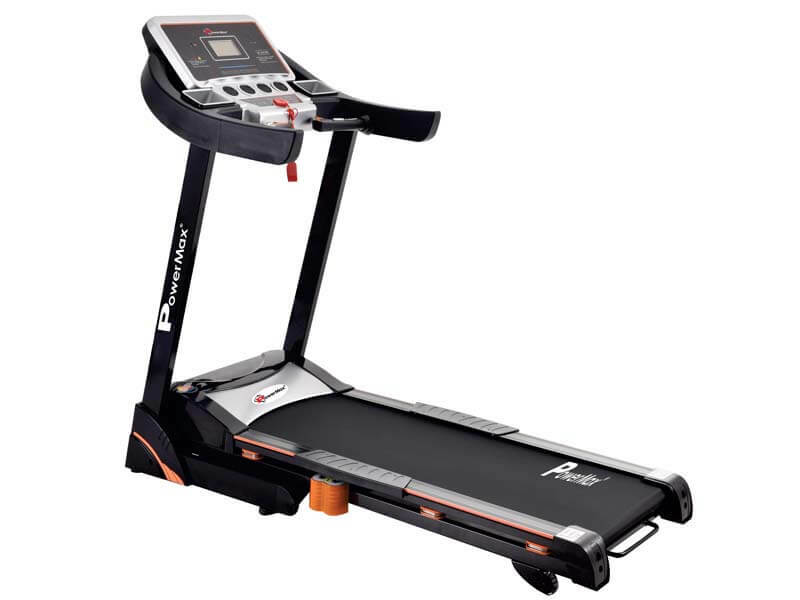 There is no problem with putting a treadmill upstairs as long as you appreciate that someone running hard on it will cause some noise and vibration below. A garage is fine as long as it's not damp, which would affect the electronics. Conservatories are popular, but if its south facing it may get hot. If you have a gym room on the ground floor, which is something that is growing in popularity then you have the perfect solution. 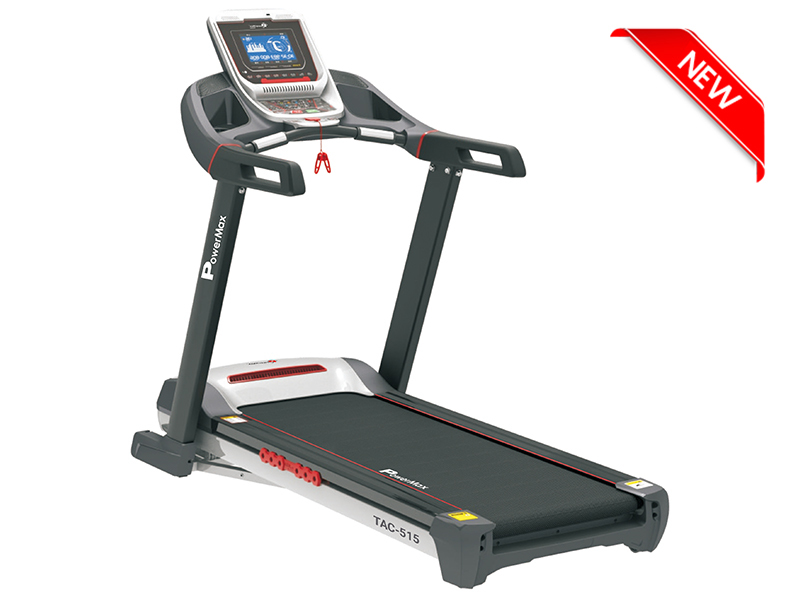 Space should not be too much of a problem today now that there is such a large range of folding treadmills available. Don't forget that a motorized treadmill is an electric treadmill and will, therefore, require power from an electric socket. When you look at the treadmill console does it make sense? Do you intuitively know how the buttons work? Is the screen large enough and the workout information easy to read? The salesperson will show you the basics but when you get the treadmill home they will not be there to guide you, so make sure you feel comfortable that you will be able to use the console with ease. 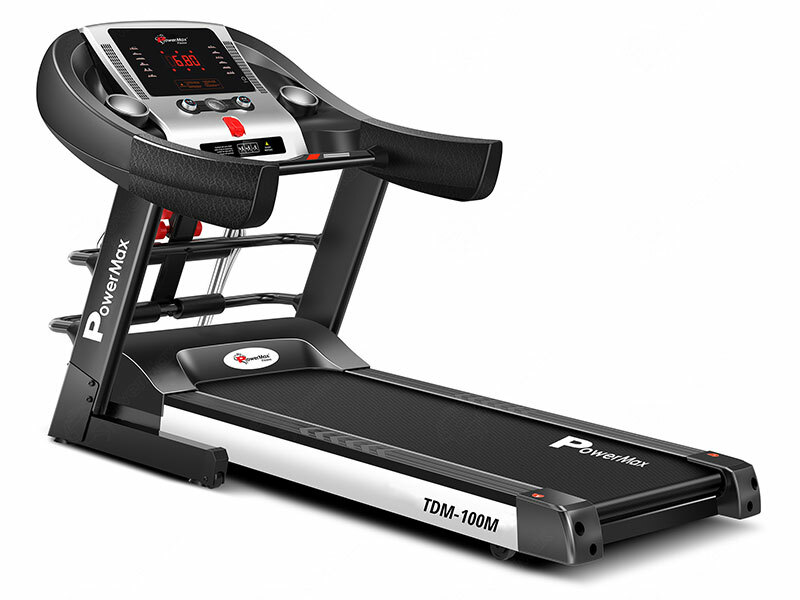 This is a major selling point for all treadmills now, but not all cushioning systems are the same. The ideal absorption system should be one that feels firm and stable when you run yet still forgiving. It should not feel soft and spongy and slap back at you. This kind of cushioning could cause knee injuries over time and also wear out quickly. 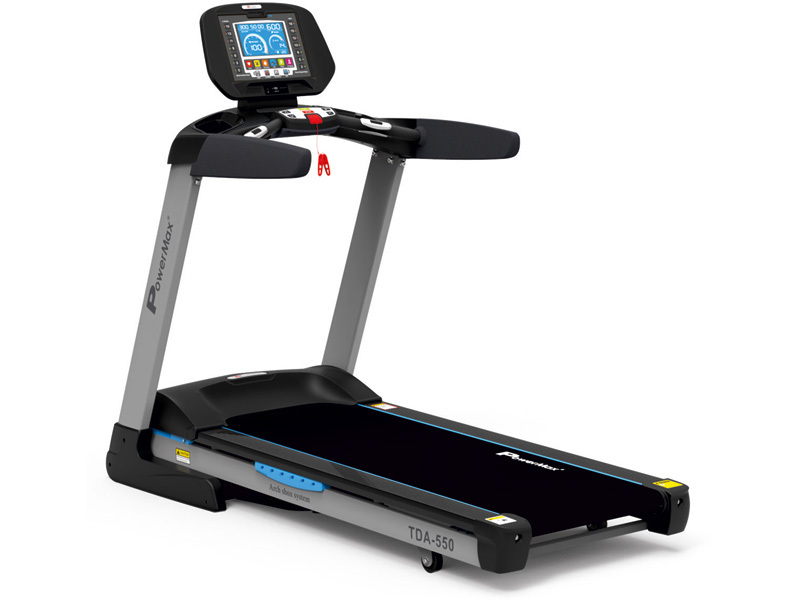 Good quality treadmills from respected manufacturers provide cushioning that is researched based and can show evidence of why their system works. There should be a methodology in the system other than simply putting in rubber spacers or dampeners. 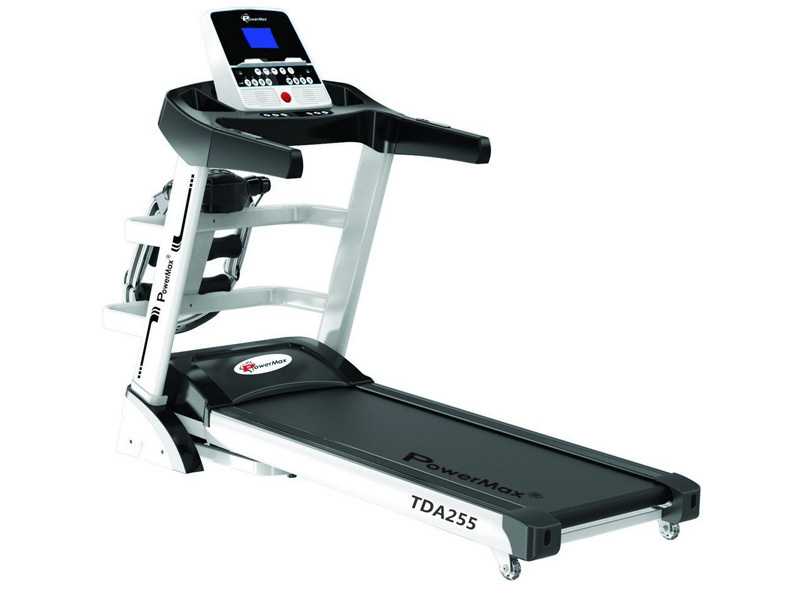 Some treadmills now come with orthopedic belts, which subtly enhance the cushioning further. 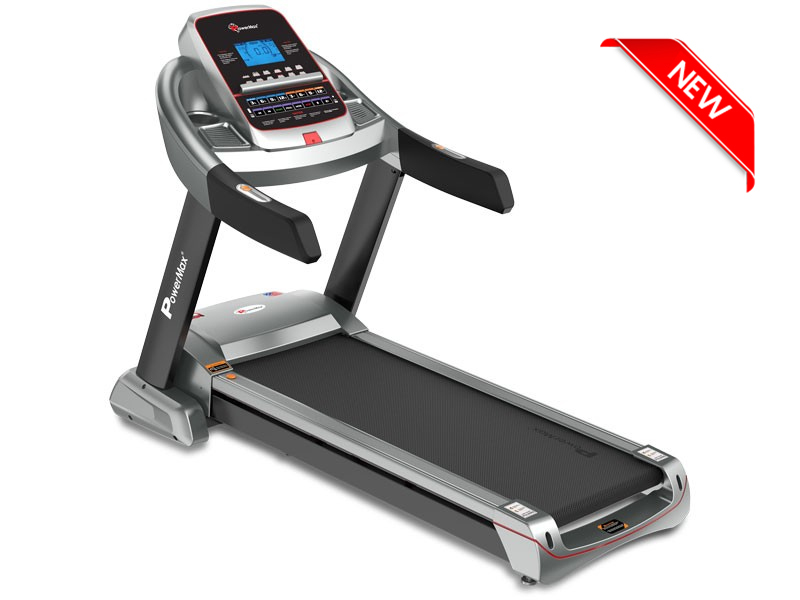 The only way you can be sure you like the feel of the cushioning is to test the treadmill. Remember anything that will make your workout more comfortable will result in you sticking with it and achieving your desired goals. This is where the confusion really starts. Don't be fooled by the bigger is always better rhetoric. 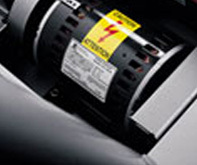 There is more to a treadmill motor than its size. What you should look for is a continuous duty HP motor (continuous duty is a measure of horsepower under regular anticipated use and is far more meaningful than peak horsepower). 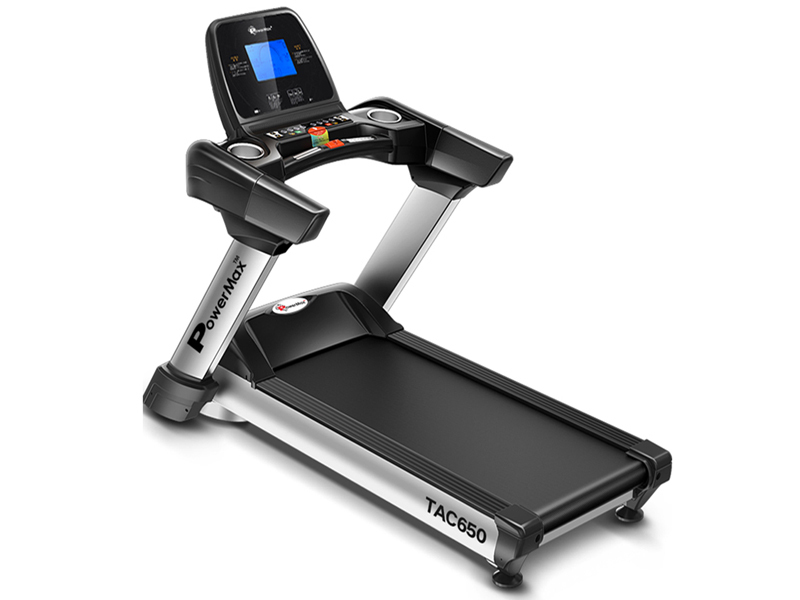 In reality, 2.0HP and above should be sufficient for any user as long as the rest of the motorized treadmills components are of a high quality. For example, a good cooling mechanism will reduce the heat generated by the motor and other major components, prolonging their life and reducing wear on these parts. A large motor with a poor cooling system is not a good combination as this will result in premature wear and poor performance. However, a superior cooling system and quality electronics do not come cheap and this is why there is such a disparity in the price of motorized treadmills. Try not to focus on just the big or quiet motor, instead look at the treadmill as a whole system, with matching components that work together. It is this that makes the difference between a bog-standard cheap treadmill and a quality treadmill. 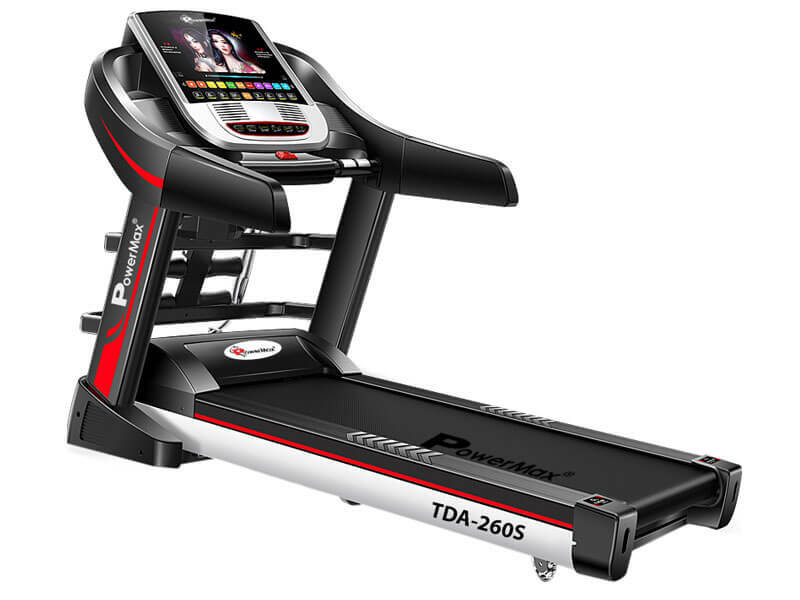 An array of feedback features is available on most motorized treadmills. 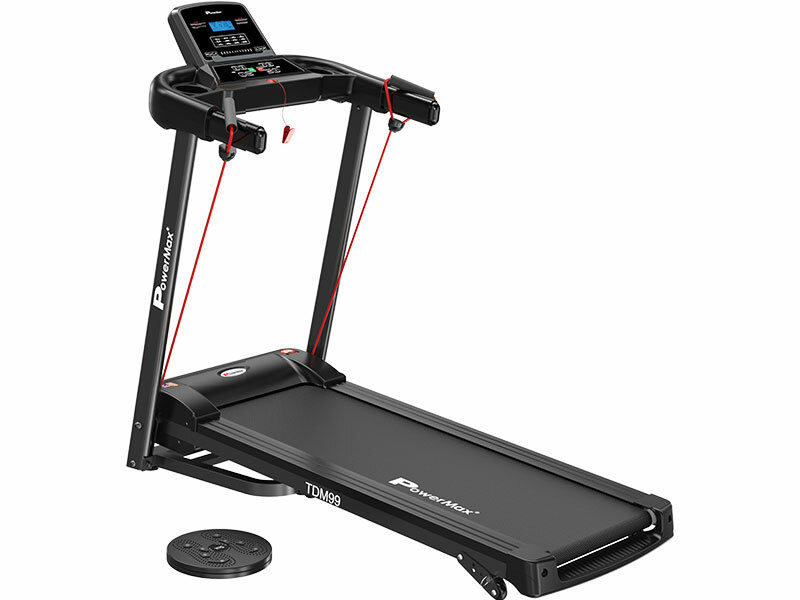 It is tempting to buy one with everything but before you do, consider what is important to you and the other users of the treadmill and how you will use it. You will certainly need the basic information such as speed, distance, elevation and time. You then need to look for features that will motivate and challenge you such as pace and heart rate. If you get bored easily it may be worth investing money in a treadmill that has a range of different workout programmes, as this will help you stay motivated. 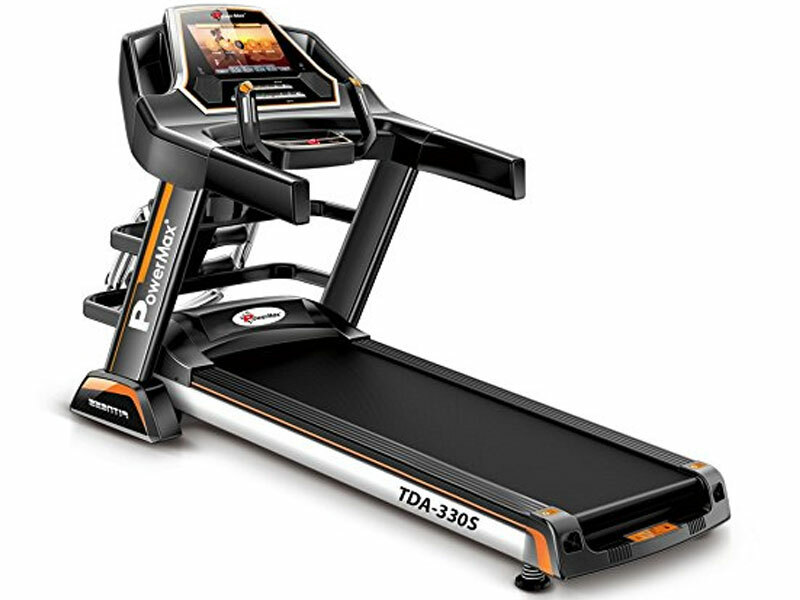 Folding treadmills use one or two hydraulic pistons to assist with the lifting and lowering of the running deck. Make sure the piston is good quality and does the job. 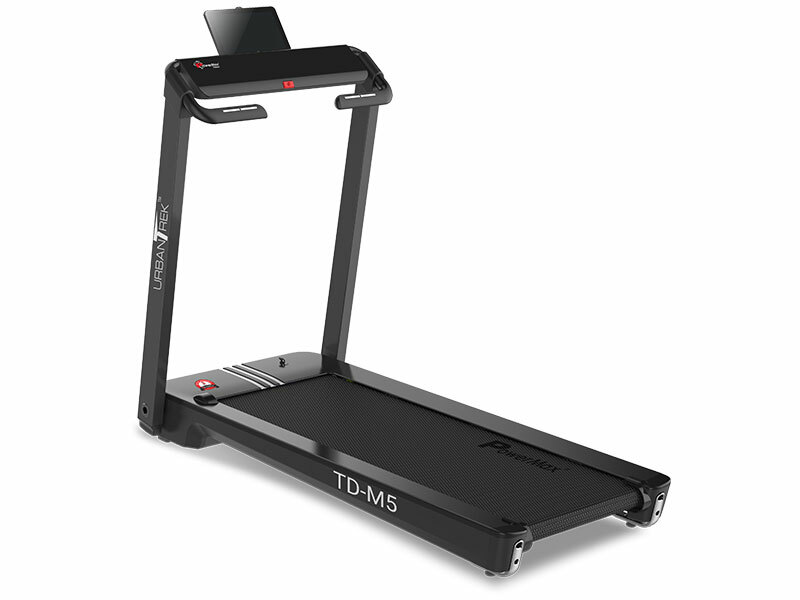 The majority of foldable treadmills have what some brands call a ‘softdrop’ mechanism. This lets the running deck drop slowly and gently without any intervention from you. It was designed to prevent injury to young children who may have accidentally released the treadmill from its raised locking position. These work very well but again the quality of the piston is crucial. The locking device differs considerably from brand to brand. Some have a simple release handle conveniently positioned at shoulder height, others have a pivoting plate at the bottom of the treadmill that you have to push down with your foot and others have an annoying leaver type piston combined support that you have to pull apart. They all work adequately but some are just easier to use. 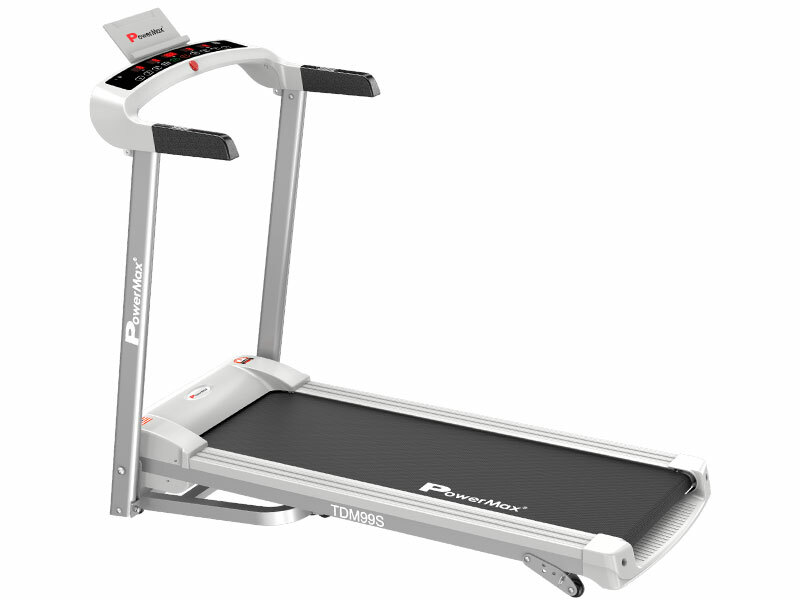 We are often asked if foldable treadmills are less stable than a platform (non-folding) treadmill. Years ago folding treadmills were very unstable compared with a platform treadmill and cheap treadmills still are today. But buy a quality folder and you will be hard pressed to feel the difference. The belt should be long enough and wide enough to accommodate your running style, if you plan to do a lot of running then look for a belt with a width of 500mm (20") and a length of 1400mm (55"). The maximum speeds will vary between models. Mid-range and commercial treadmills have maximum speeds of 20kph (12mph). To give you an idea of speed, world-class runners run at an average speed of 20kph during a marathon! 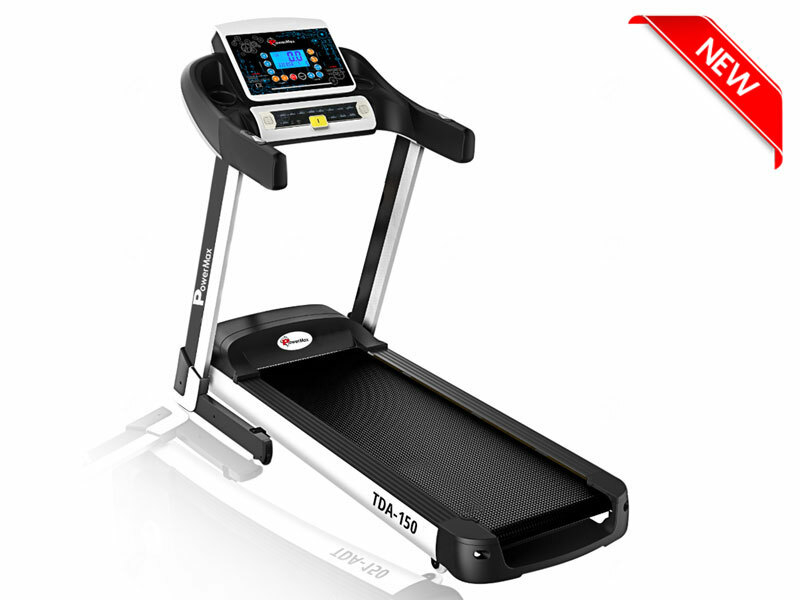 If you plan to do a lot of uphill walking or running then look for a treadmill with an incline of 10%. Thankfully most mid-range treadmills incline to 10% (some incline to 12%). Always check the maximum user weight before you purchase. Budget running machines usually have maximum user weights of around 100kg whilst mid-range treadmills have maximum user weights of around 130kg. You can purchase many accessories. 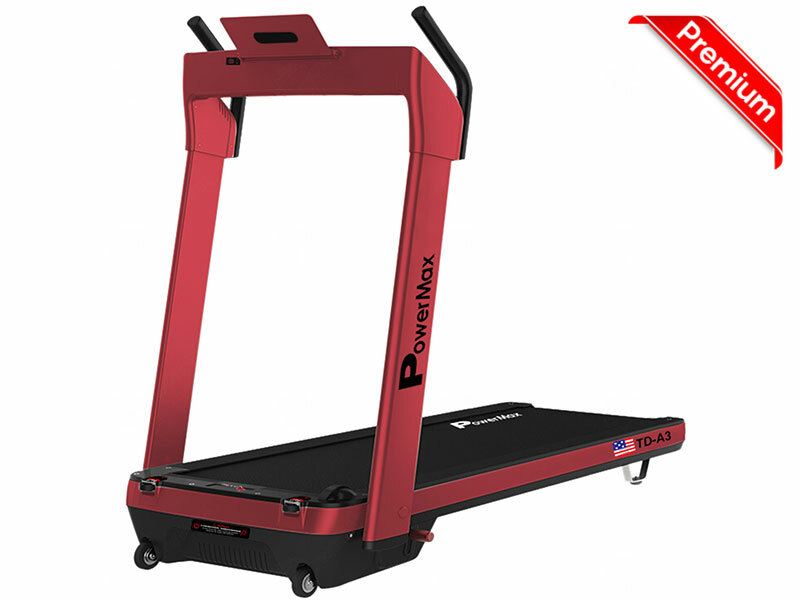 At Powermax Fitness Superstore we offer accessories such as Floor protector Mats, Extended treadmill warranties, Heart Rate Monitors and much more. 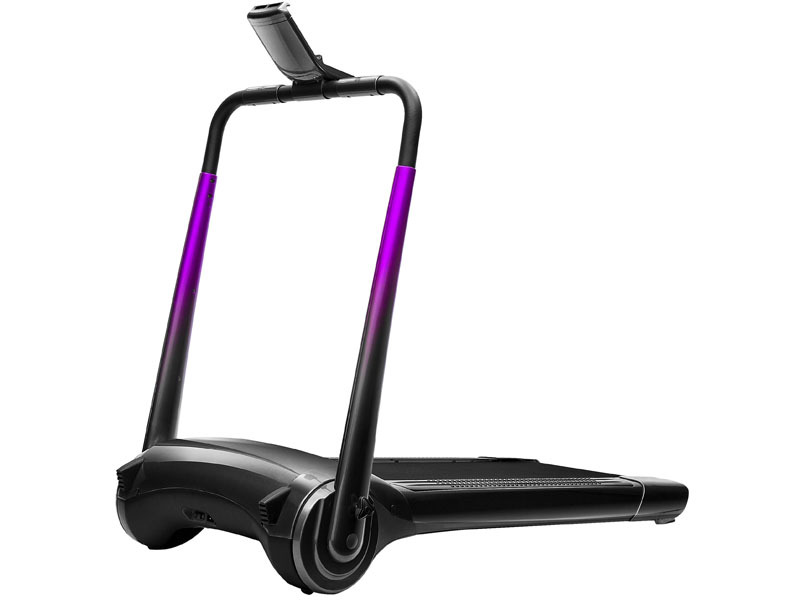 Running and walking on a moving piece of exercise equipment is very effective and simple, but for the raw beginner, it can also feel unsafe and fraught with quality issues if you don’t choose wisely. A treadmill will always require a little maintenance after all a treadmill is a mechanical and electronic piece of moving exercise equipment. However, on a quality treadmill, the maintenance should be minimal. Once set up you should not be centering the belt or lubricating the running deck after every workout. A well- designed unit should take in normal wear and tear. Ask the salesman what is required. 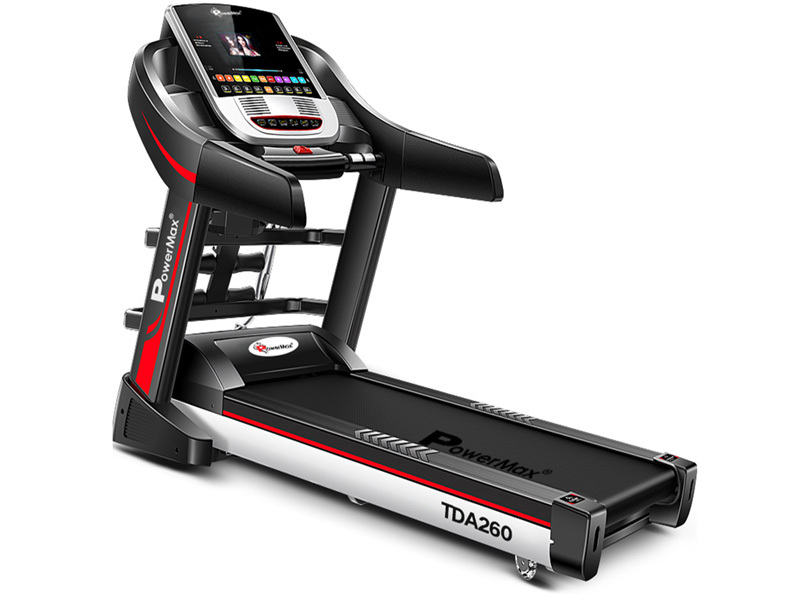 Some treadmills have reversible running decks. 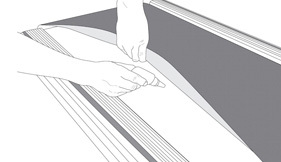 This means that if normal wear and tear take its course on the running surface the deck can be flipped over, basically doubling the life of the running deck. This is something that can be done by a competent owner but it is always worth asking the store what they will charge to do it professionally. If you have bought quality, professional gym equipment then it may be worth paying that extra to get a professional to look after it. However, on a quality treadmill, this is something that will not be required for many years. Today treadmill warranties are almost used as a marketing tool. Companies now compete to offer longer and more comprehensive warranties. This is all well and good as long as the manufacturer is still in business in 10 years time. At a minimum, the treadmill should have a 3-year motor warranty, 1-year electronics, and 1-2 year labor cover. As with everything else and this is probably more so with a treadmill, you get what you pay for. A treadmill has to take an enormous amount of punishment compared to other fitness equipment. For anyone who has regularly visited a health club, they have probably found that the one piece of equipment that is out of order more than any other is the treadmill. Therefore the better the quality the less likely you will need to use your warranty. Finally Equally as important, do the dealers from whom you are purchasing the exercise equipment, have their own service staff that is trained and authorized by the manufacturer to service your fitness equipment. At Powermax Fitness we have our own dedicated service engineers who have years of experience. 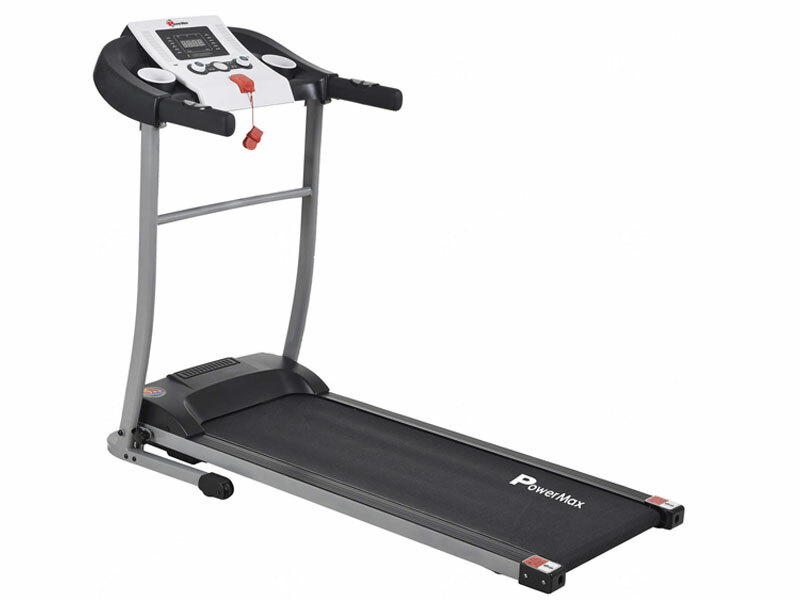 Treadmill installation: Treadmills can be very heavy that is why we would recommend our installation service. Installed by our own engineers. 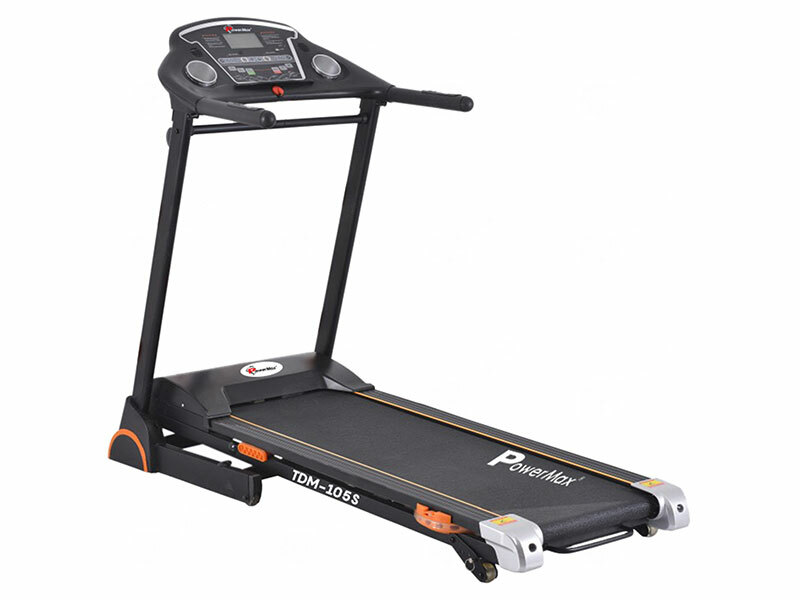 We are one of the most trusted suppliers of Treadmill in Mumbai, India. We have good sales network all over India. 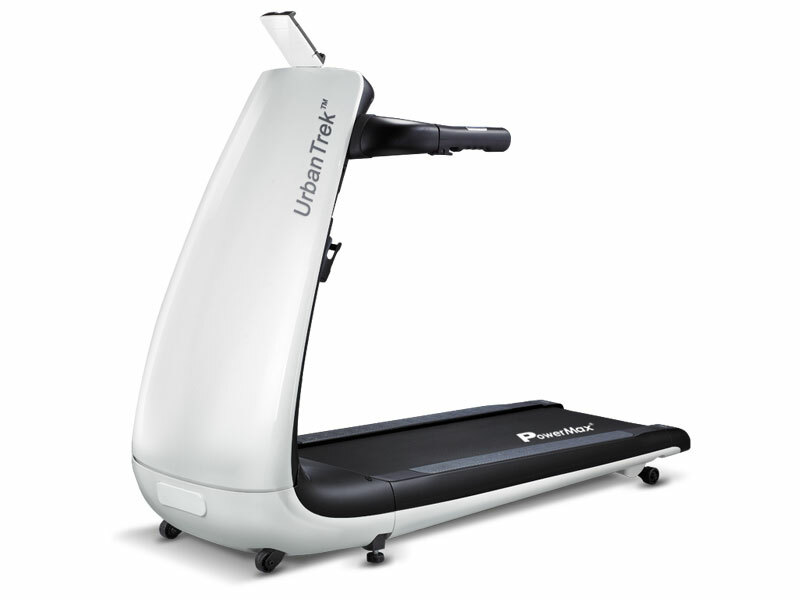 UrbanTrek™ Series is a family single upright tube, intelligent, Plug & Run treadmill. 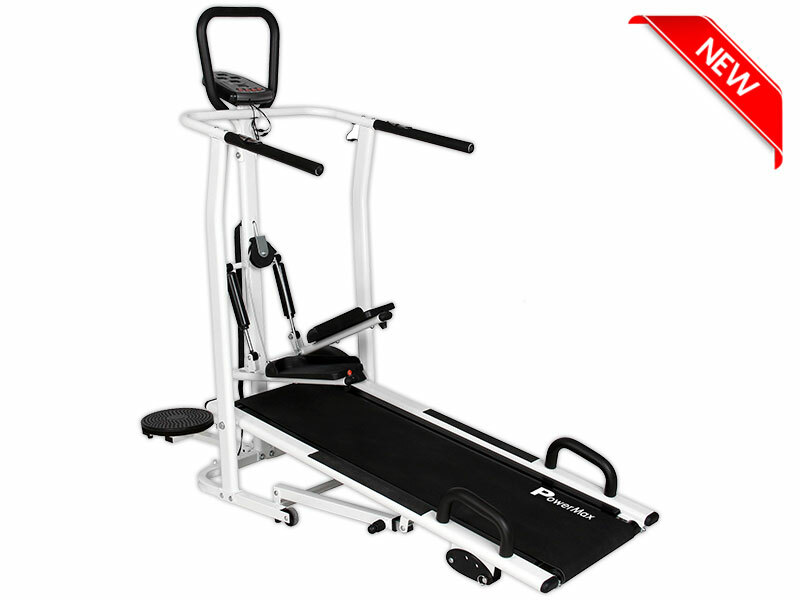 It is the cardio choice for any home facility looking for intuitive functionality, Space saving and modern unique design the whole machine of this series are 100% Pre-installed with-in the box, single button fast folding, convenient and quick. 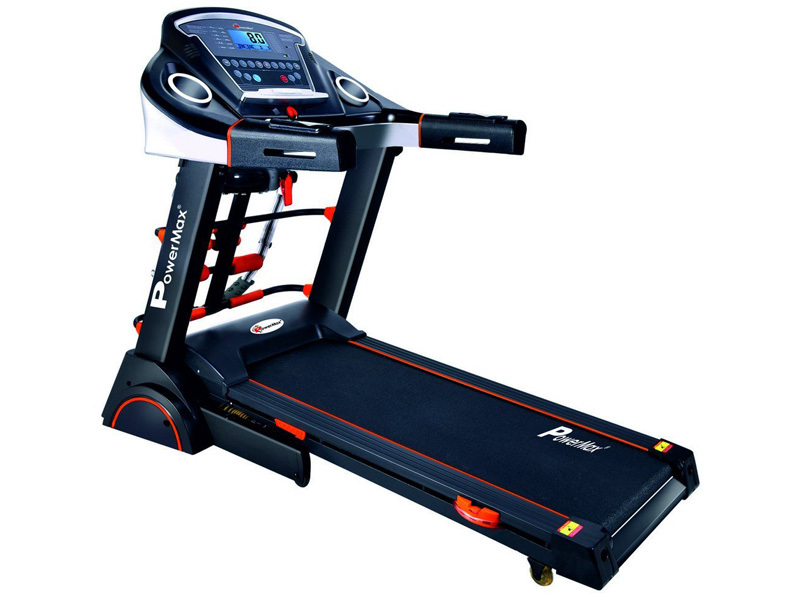 They are featured with super wide treadmill and standing side rails with innovative ultra-low running platform without base frame design, having a height not more than 10cm from ground which makes running more comfortable and safe. The next generation suspension shock absorption system provides gradual force deflection, leading to soft landing to protect your knees and ankle effectively. It can be used to monitor the health status of the body using heart rate sensor and the body fat detective system while some are featured with weight scale to measure body weight also. All machines of UrbanTrek™ Series have a quite, efficient, automatic noise reduction powerful motor. Additional features includes aeration fan for oxygen-full running, mobile app for Android & iOS to achieve cloud plan training, Step count function, Auto stop human detection and many more differentiating machines of UrbanTrek™ Series. 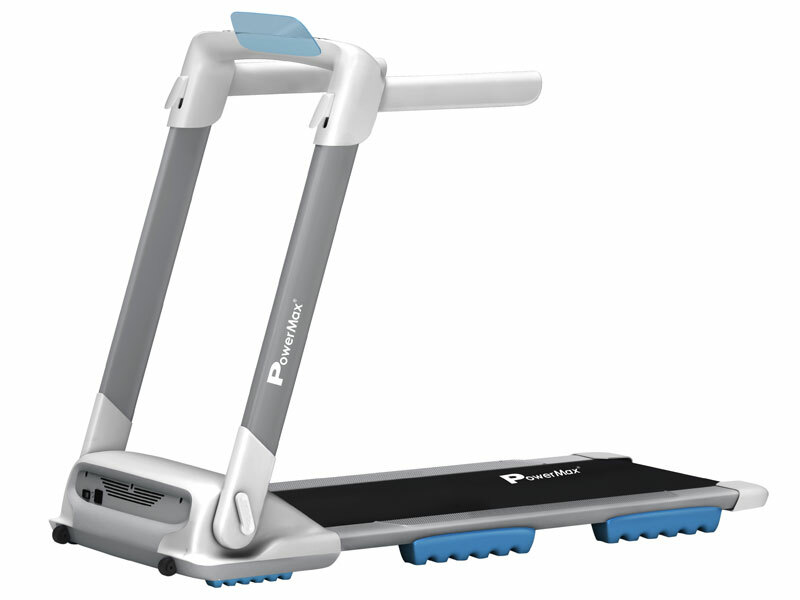 The PowerMax introduces ‘EcoTrek Series’ manual treadmill and it is considered as an ultimate tool for people who are desperately seeking options for becoming fit and healthy. These treadmills are considered as the best choice if you want to reap huge benefits with your little money and space. 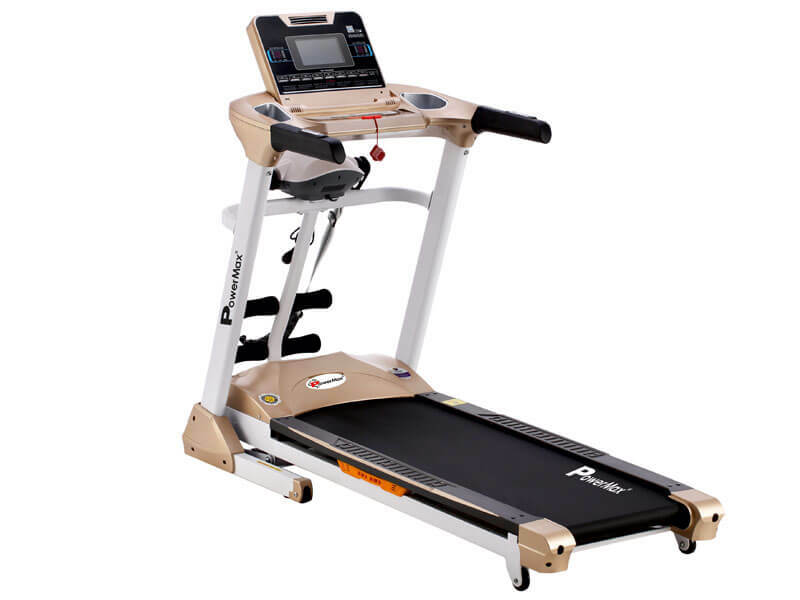 The Manual treadmill has multi-functions with high-quality frames, space-saving design and helps in burning calories faster than running outside. It is designed for domestic use and the machine fulfils all keys of the needs that are required in the muscle group to improve lower body strength and endurance such as quadriceps, calves, and hamstrings. Treadmill offers various Programmed workouts that vary the speed and incline to focus on specific goals and to improve cardiovascular health. The MaxTrek Series are designed simple and sturdy for the combined set of Domestic use as well as Semi-Commercial use. 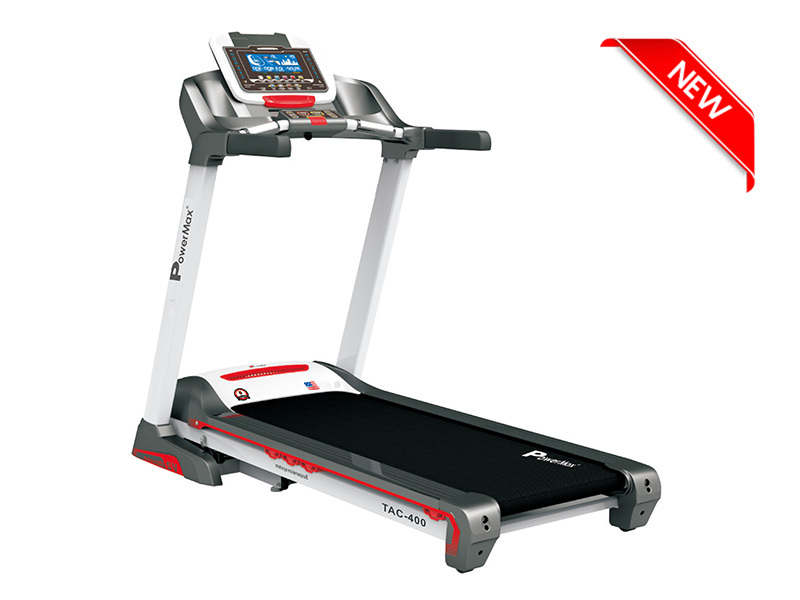 This series offers all kind of treadmills starting from basic models with basic features to high-end model with advanced features. This treadmill help to burn excess amount of calories and improves cardiovascular health more effectively than running out-door. This series are further classified into three different segment. 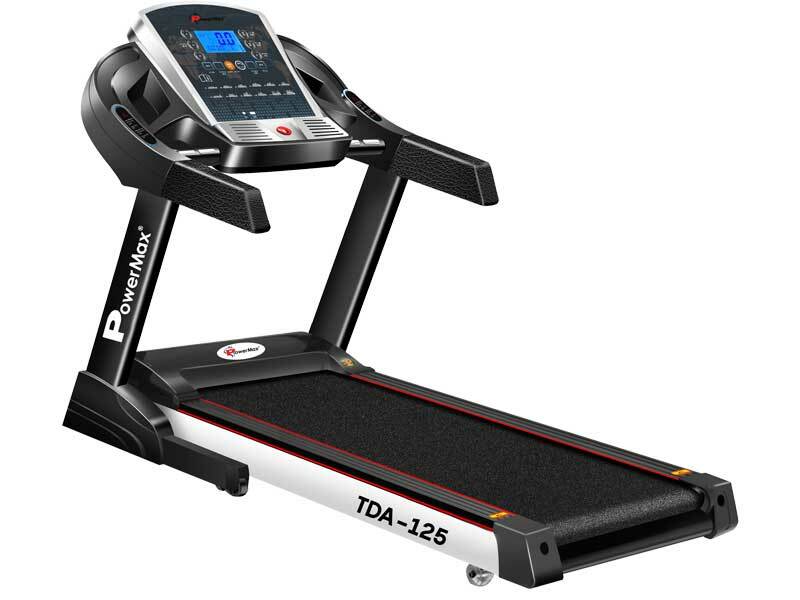 TDM Treadmill with DC Motor and Manual Incline, TDA Treadmill with DC Motor and Auto- Incline and TAC Treadmill with Auto-Incline for Semi-Commercial Use. This series provides ample of features for the one who is really into losing weight, getting in to shape and fit and fine. The MaxTrek Treadmills delivers 90% Pre-installed and are packed in to boxes. 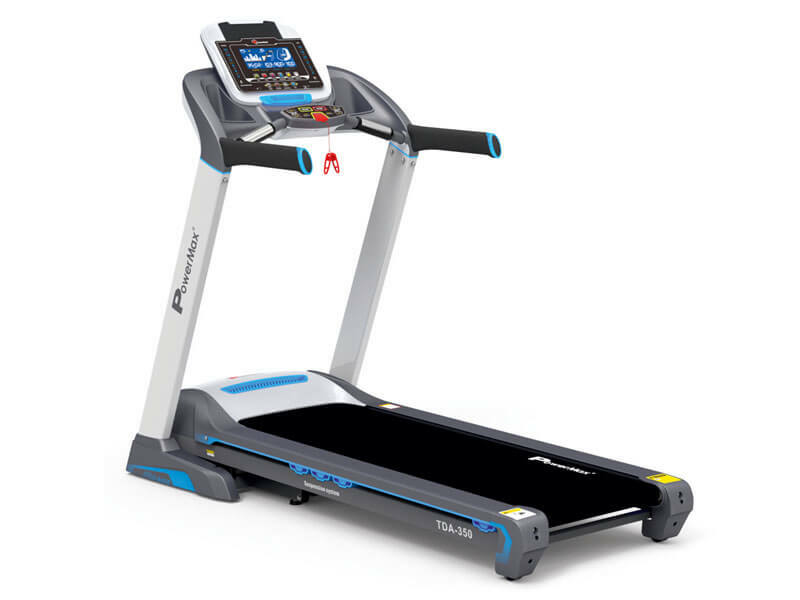 They also delivers Heart rate sensor, Detects Hand Pulse, lifetime frame warranty, large color touch screen display, mobile app via Bluetooth, USB option, Wi-Fi, Hi-Fi speakers, Best motors and incline, Wide running surface Belt . 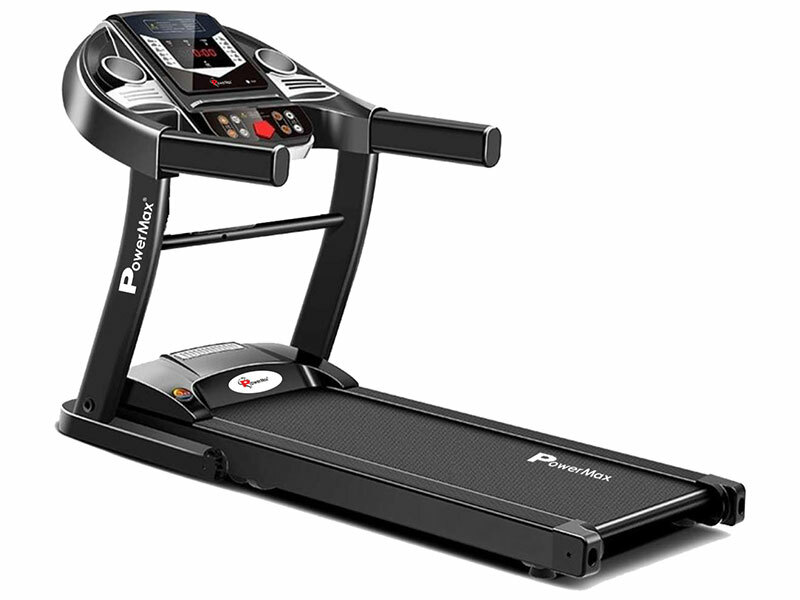 The benefits of using Powermax Fitness Treadmills are they are easy to use; help you to track your work out progress, Helps in losing weight faster than running out door, Allows to choose preset work-out programs, Improves heart health, improves in muscles and calves toning, easy to fold and space saving design as they are able to fit under the bed or beside the cupboard and wheels for easy transportation.